In higher education, student success depends on the effectiveness of a wide variety of support services. These might include getting help clarifying a paper’s thesis, conducting research, visualizing data, working through a problem set, editing a video, honing presentation skills, selecting courses, finding a career path, connecting with peers with shared interests—to name a few. The problem is, despite good intentions and hard work, the groups providing these services are often physically separated, report to different leaders, use different systems, have different success metrics, and lack sufficient awareness of the whole student experience and the many support services students need. So, how can institutions enable student success when students depend on support services that aren’t seamlessly organized? 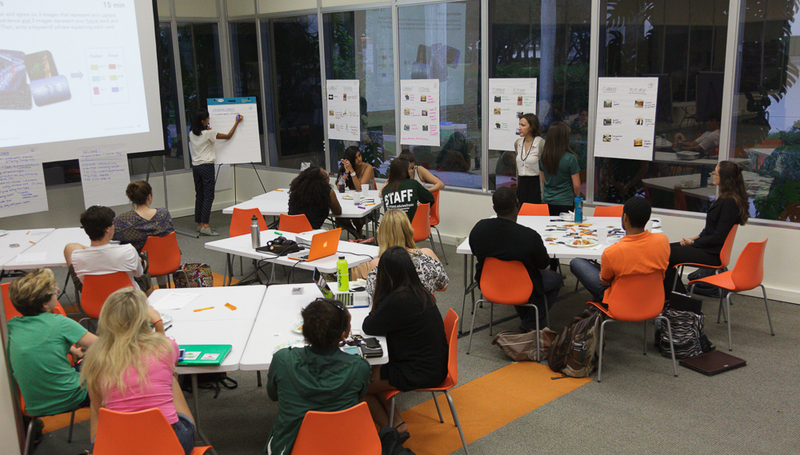 brightspot worked with the University of Miami to answer this question by developing a new Learning Commons using design thinking to reimagine its services, staffing, and spaces—and the different academic service groups continue to learn as they work together. This project can be instructive to other institutions because as so many are recognizing they need a more collaborative and coordinated approach to academic and administrative student services if they are to increase student success. We had bold new leadership at the university who set a high bar for student success. We had a project steering committee representing different facets of the university—library, technology, academic programs, facilities, and student affairs—that had to find common ground despite differing points of view, historical approaches, and priorities. The demographics and needs of our students were changing rapidly. Our different service providers were separated physically, organizationally, and culturally. What bound the different staff groups together, however, was a shared commitment to student learning and growth. To address these challenges, brightspot designed the process to transform mere staff committees into high-performance teams that have now evolved into a community of practice among service providers. Leveraging design thinking was critical to this effort. As a team, we put people at the center of the process, rather than systems or policies. We solved problems collaboratively, informed by quantitative analysis, creative insights, and a willingness to engage in difficult conversations. Our teams prototyped ideas to get feedback, learn, and improve. This helped the university assess its needs, benchmark against peers, create the vision, develop a shared service model across providers, test out new service concepts, communicate our ideas, and build consensus. None of this would be possible without organizing people for success by creating cross-functional working committees, as these represented not only the different service provider groups but a range of perspectives from the practical to the visionary. Today, the Learning Commons supports students’ learning through the co-location, coordination, and enhancement of existing academic services. 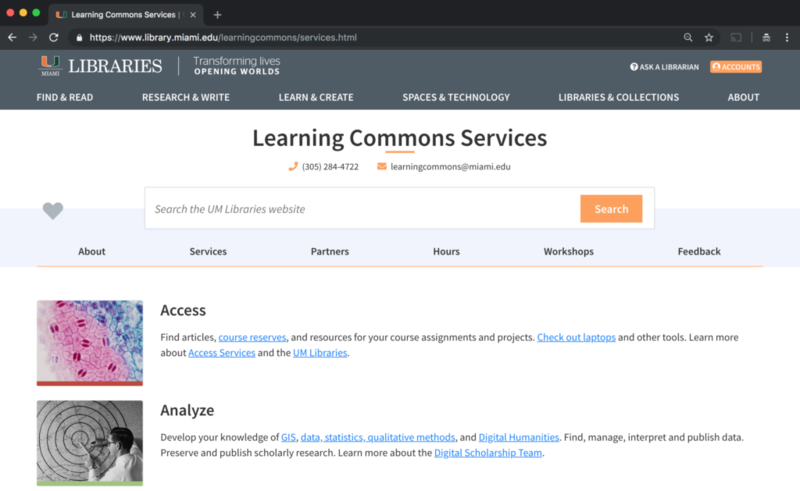 Complementing the classroom experience, the Learning Commons helps students of all disciplines in pursuing their own intellectual goals, in conversation with peers and experts with access to scholarly and creative resources. Almost every day, we put into practice the design thinking mindset, toolset, and skill set we learned on this project. We now have a bias toward testing and action rather than debating and critiquing. And instead of proceeding based on assumptions, their team now looks at the data. For the University of Miami, perhaps the biggest change grew intentionally out of the planning process: the participants started as a staff committee of disparate service providers and today they work as a community of practice united in their commitment to learning and growth. Of course, it’s still a work in progress; there are still conflicts, disagreements, and many different leaders, but on the ground they’re functioning much more collaboratively and effectively for the good of their students. If you’d like to learn more from the University of Miami’s experience, join us in Anaheim for the EDUCAUSE Learning Initiative Annual Meeting in March 2019 where together we’ll present this case study or just drop us a line! 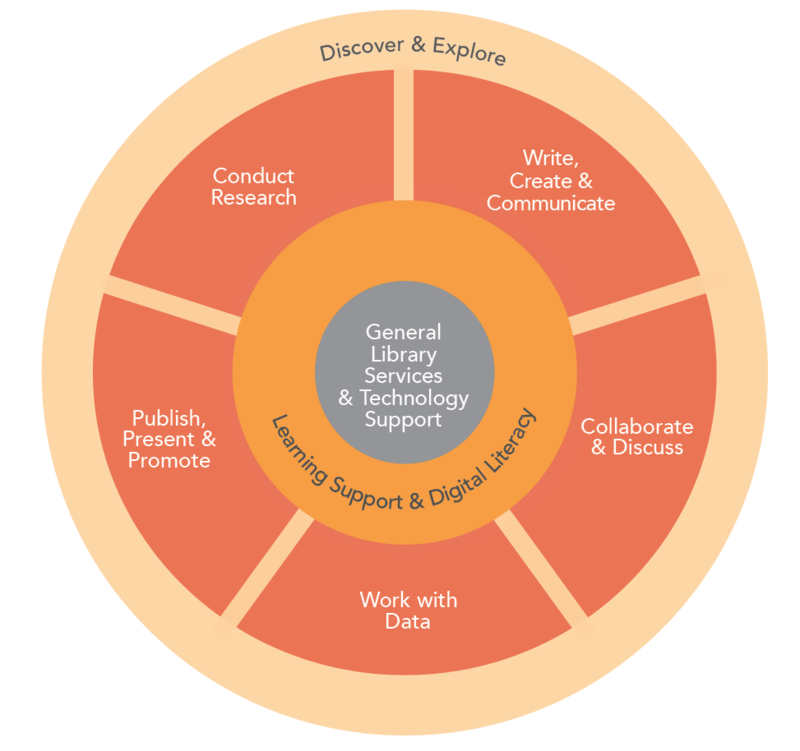 Special thanks to Kelly Miller, Associate Dean for Learning and Research Services at the University of Miami Libraries, for this opportunity to collaborate and for chronicling their experience in this article in EDUCAUSE Review, On Being in Libraries.